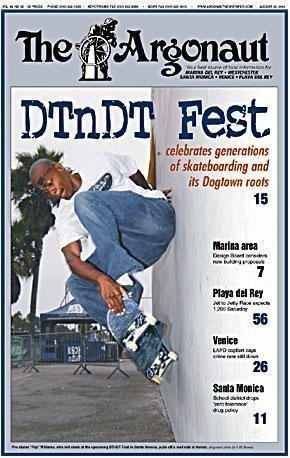 I shoot and I skate! 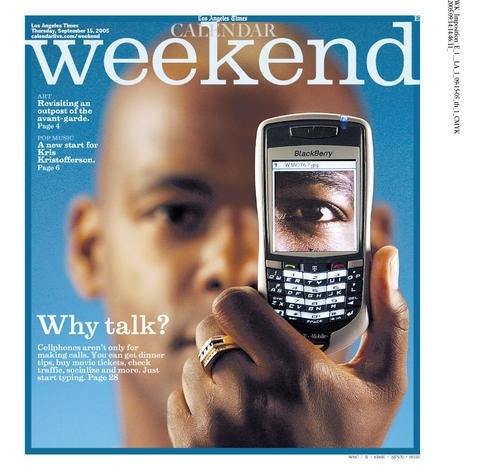 Pep Williams on the Cover of the Argonaut. 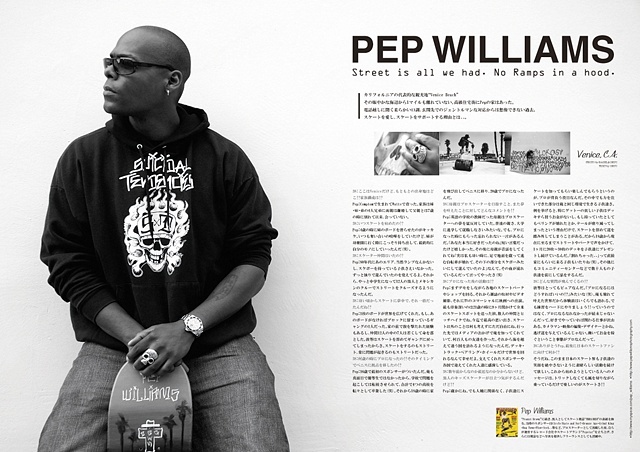 Pep Williams Featured in URBAN INK Magazine. 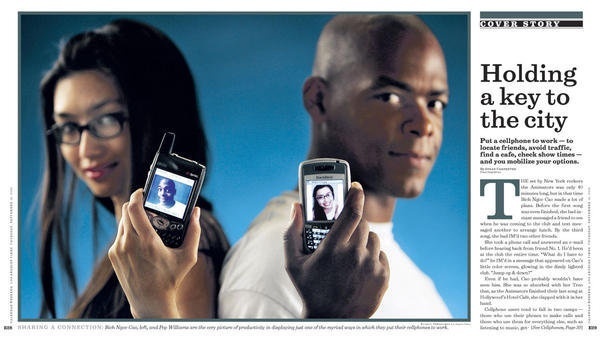 Pep Williams on a double page spread in LA Times. 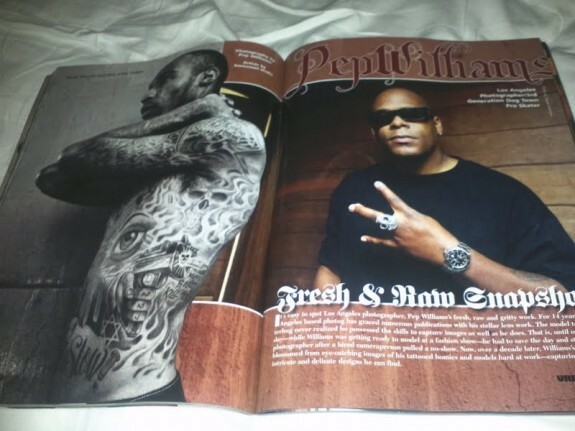 Pep Williams featured in Tattoo Culture Magazine. 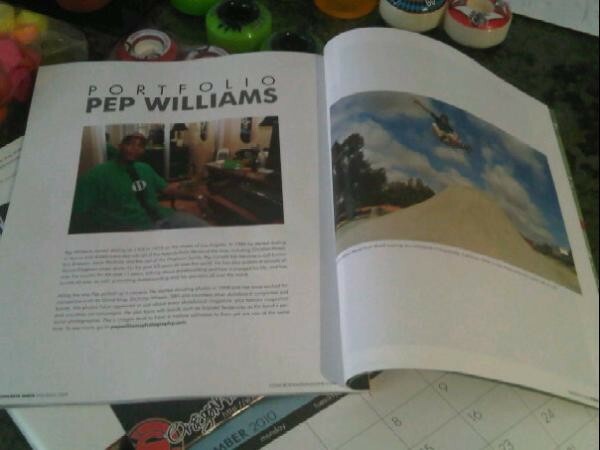 Pep Williams featured in Concrete Wave Magazine. 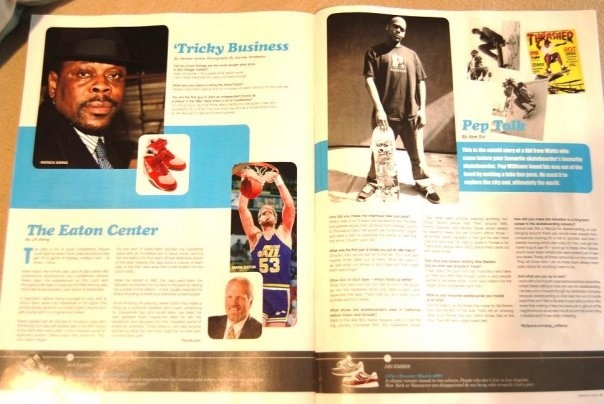 Pep Williams featured in BREAKS MAGAZINE. 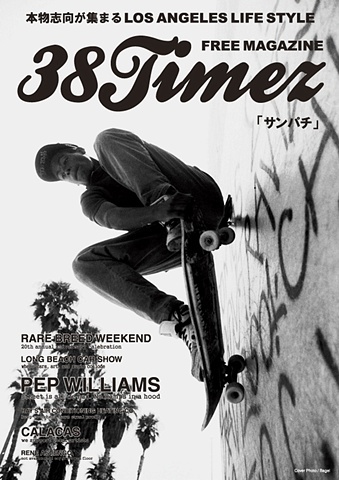 Pep Williams skating in a subLIME magazine Ad. Pep Williams skating in a subLIME wheels ad.